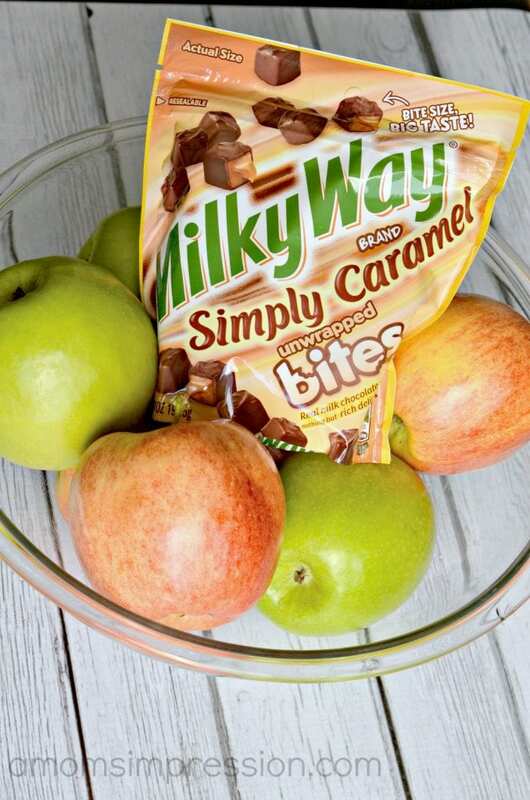 You might not think chocolate and caramel apples would make a good salad, but it is tasty! 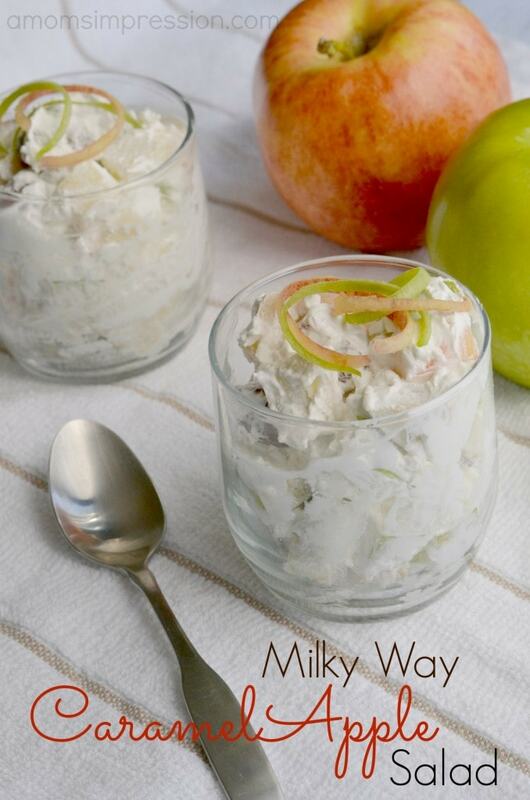 Try this Milky Way caramel apple salad recipe! It’s a great dessert recipe for any occasion. My family and I have a sweet tooth. We love an occasional treat and often dessert is what will entice my son to eat what is on his plate. My husband LOVES chocolate and candy bars, but I prefer something a little on the lighter side. This weekend I made a delicious dessert that incorporates both, a Milky Way Caramel Apple Salad. It all started while I was doing our weekly grocery shopping. As my daughter and I were cruising down the aisles, we were greeted by a big display of Milky Way Simple Caramel and Snickers Bites. I had to stop because I absolutely love caramel and Milky Way bars. I picked up a few packages as well as some delicious apples thinking I could make a delicious summer dessert with them. Whenever I decide to make a dessert I think about my presentation. I knew that a mixture of red and green apples would not only taste delicious, but it would look prettier when it was time to present my dessert. I used a mixture of Granny Smith apples and Gala apples. This dessert is extremely simple to make, yet it is delicious and loved by all who tried it. Don’t let the four ingredients (including the garnish) fool you into thinking that this is a plain dessert. It is full of flavor and is a light alternative to a typical chocolate dessert. Your family and friends will love it. A quick and light dessert perfect for those who love fruity desserts as well as those that love chocolate bars. 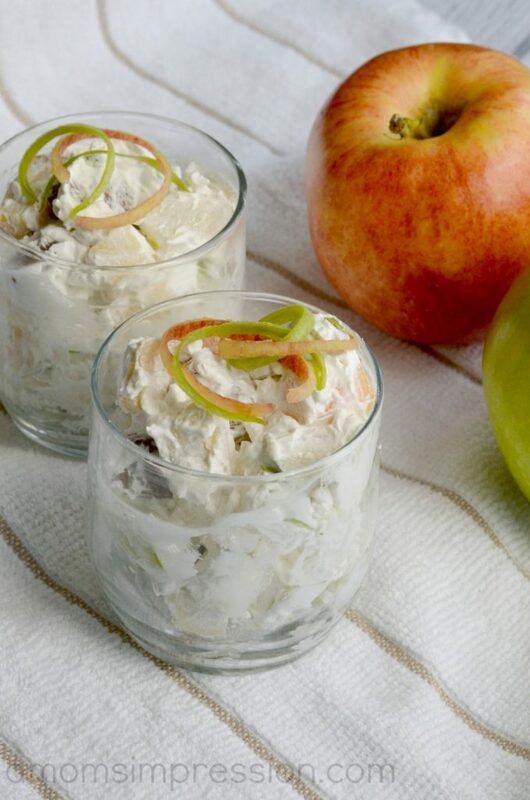 Cut apples and place them into a very large mixing bowl. Add whipped topping and stir. Fold in chopped Milky Way Simple Caramel Bites. Keep refrigerated and serve after 1 hour of chilling. Top with a drizzle of caramel syrup or some apple slices. 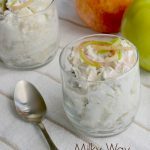 Apples are one of the few fruits that my son will actually eat, so I wanted him to know that this dessert had all of his favorites in it. Therefore, I topped the desserts with a little apple garnish. 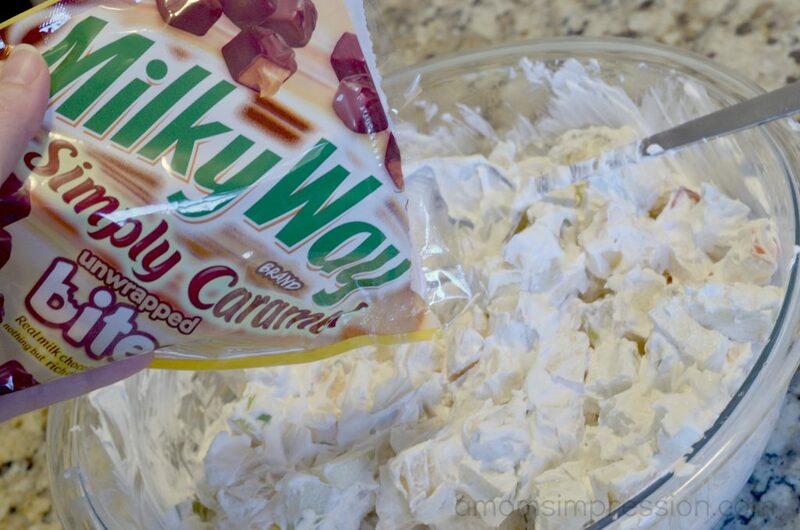 You could (and I would highly recommend this) add some caramel syrup to the top to really play up the caramel in the Milky Way Simple Caramel Bites. 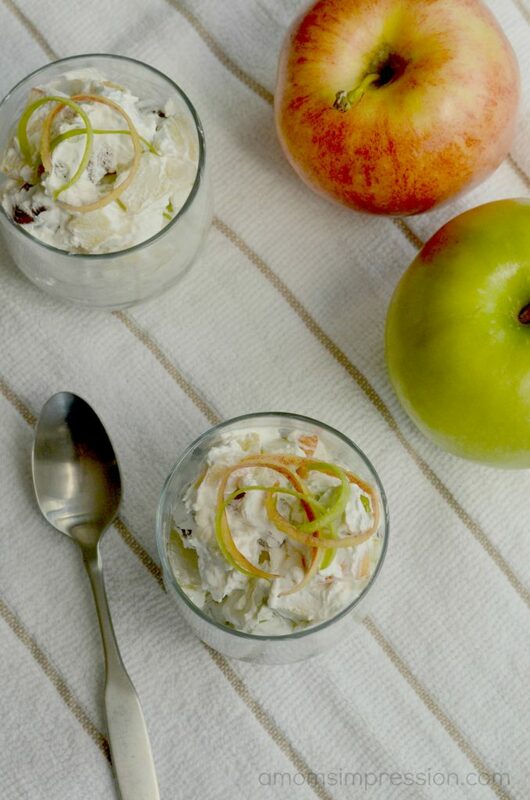 For more delicous apple recipes be sure to check out our list of favorites! What is your favorite Unwrapped Bites flavor? I have seen these with other chocolates. this is a yummy way to use these new treats. It’s a salad, so that means it’s a healthy lunch, right? This looks so good! I get your newsletter..my deepest condolences.